Skeleton Key is spellbinding from start to finish. Our games are filled with amazing props and set pieces: a London taxicab, a computer that's nostalgic for the 1980s, a camel that spits if you get too close. We're not just an escape room, we're an Adventure Emporium where you can enjoy food and drinks in our stunning balloon chairs, check out our curiosity cabinet with its two-headed taxidermy duck, and communicate with Pneuman, our pneumatic tube conduit to the spirit world! Even our bathrooms have been meticulously crafted, with shattered mirror custom flooring, playful skeleton wallpaper, circus tent inspired ceilings, and whimsical dragon faucets. Join us for a memorable experience in a space that is like no other! “Skeleton Key offers a new twist." 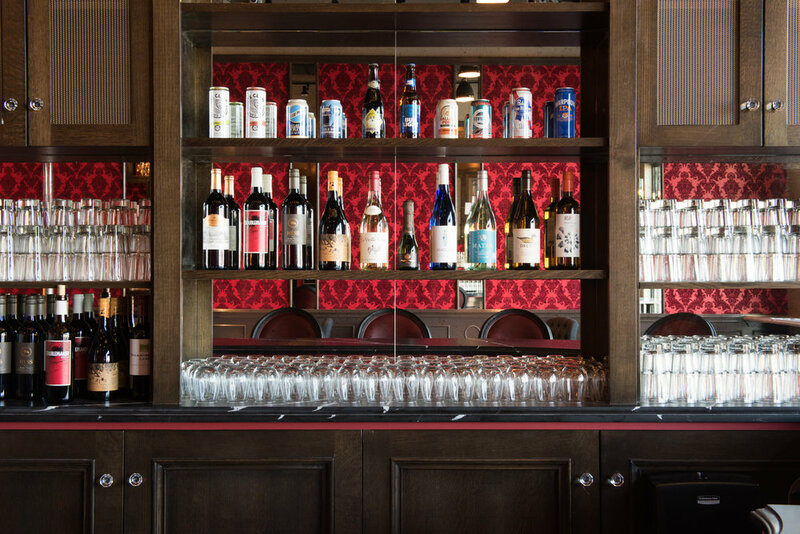 "A posh, speakeasy-themed bar/restaurant and waiting area"
Join us for whimsical craft cocktails (excluding Lynnfield), beer & wine, and light bites from our kitchen!